1. What type of books do you write? I write Children’s Picture Books. I like to include a child eager to learn and a patient adult role model who not only answers questions but guides the child to learn to find the answers to questions. I write my books separately in English and Spanish. 2. What is your newest book about? My newest book, still with the illustrator but already with the publisher, is about my young nephew visiting the UK on a trip with his dad. 3. What inspired you to write it? It is, as are my other stories, based on a real event. In this case, the characters were different people…both were adults. I saw the opportunity to show children how a culture or a point of view that is different is not necessarily wrong, merely because it differs from what the child’s norm is. Learning is exciting when turned into an adventure. 4. What is the writing process like for you? Most of my stories are based on true experiences, and I like to use my children, nieces and nephews and grand-daughters as the characters. I write the story, let it sit for a while, then return and edit. I have many books in various stages of development. When I am happy with my English version, I have a trusted proofer read it and take advice seriously. I’ve learned that it is not a personal attack but intended assistance to improve my writing. That was a big step! After the English version is satisfactory, I rewrite the story in Spanish. It begins as a translation then morphs into a Spanish version as the expressions that don’t translate appear. I always use an international approach to the Spanish and remember to keep the Spanish story as naturally flowing as the English version. Hence, the reason for publishing them separately. If anyone bilingual were to read them both, he or she would know the story and the spirit were the same in each. Another thing I do for multicultural appeal is change the race or ethnicity of the characters from book to book. I think that is healthy for the different children who read the books. 5. What did you do before you became an author? I taught High School Spanish for nearly 18 years and loved it. That’s probably where the need to provide a learning experience is derived. Later I worked with people new to our state in the employment office. I coordinated the department, did presentations to other community service providers, and have participated in many Latino events for years now. When we began to have a large influx of refugees, I wished I could help them with their English. We referred many people to other programs for services that could help them increase their language skills, their educational level, their job skills, and other community services that applied. That’s when I realized that Children’s Books can be used as incentive to learn a new language as well as to read the native language. 6. How does it feel to be a published author? It’s a milestone to have published books. I read for schools and other community groups besides doing story times at libraries, signings, meet-the-author events, and many kinds of shows and author fairs. With each book pair I continue to raise awareness of my goals, and reviews reflect that my readers understand that, too. Children love the stories and ever so rarely I will now have someone (adult or child) remind me that they have read my books or that I read to their school, or merely say, “Aren’t you the author?” The first time that happened, I had to turn around to see to whom they were speaking! 7. Any advice for struggling writers? Don’t give up! Write about what you know, or what you have researched VERY well, because there will always be an expert that will notice if you do not have your facts right. Have fun telling your stories! Let them flow and proof them later. Research very, very well which publishers interest you and talk to other authors before making a decision. I am self-published and have found a company that is very professional. Not all are. Writers’ groups are very helpful and supportive. Join one! 8. Where do you see book publishing heading? I see more e-books doing successfully, but children’s books are still more fun to be able to hold and turn the pages. Libraries and bookstores like quality books with hard covers for children’s books. I try to stay current with new trends and love the social media. That is something that provides many opportunities for promotion, awareness, mingling with other like-minded authors, connecting with readers, locating appropriate events, and simply staying involved with the community. How far will your writer’s high take you? Brian Feinblum’s views, opinions, and ideas expressed in this blog are his alone and not that of his employer, Media Connect, the nation’s largest book promoter. You can follow him on Twitter @theprexpert and email him at brianfeinblum@gmail.com. He feels more important when discussed in the third-person. This is copyrighted by BookMarketingBuzzBlog © 2014. Did You Have A Good Purge? Have You Visited the Harper Collins Bookstore? First To 100 Million Likes! So What? Will 5 Companies Run The Media? What Does The Future Hold For Book Publishing? Why Write A Book If You Won't Promote It? 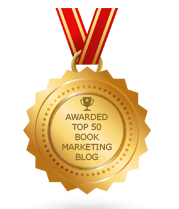 Have You Attended Book Marketing Camp? Can Book Publishing Take A World Cup Approach?